Raven’s note ~ This is a fun, sensual book with a great hero. Loved the predicament he was in and how they had to work their way out of it. 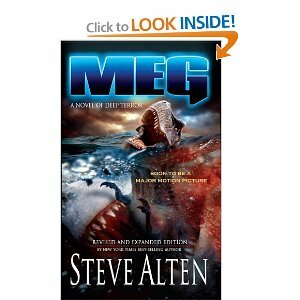 Meg by Steve Alten ~ Carcharodon megalodon apex predator of all time, the most fearsome creature that ever lived a 70-foot, 60,000 pound Great White Shark. Hundreds of 7-inch serrated teeth filled jaws that could swallow an elephant whole. It could sense its prey miles away, inhaling its scent as it registered the beat of its fluttering heart, and if you ever came close enough to see the monster…it was already too late. For Navy deep-sea submersible pilot Jonas Taylor, it nearly was too late. Years ago, on a top-secret dive seven miles down into the Mariana Trench, Jonas came face to face with an ancient monster everyone believed extinct. Having barely escaped with his life, Jonas must prove to the world that Meg still exists. When an opportunity to return to the trench presents itself, he takes it, intent on returning topside with a 7-inch tooth! But man s presence in this unexplored domain releases one of the sharks from its purgatory, and now Jonas is the only one who can stop it. 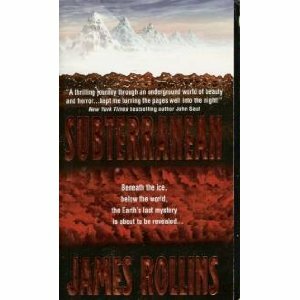 Subterranean by James Rollins ~ Beneath the ice at the bottom of the Earth is a magnificent subterranean labyrinth, a place of breathtaking wonders–and terrors beyond imagining. A team of specialists led by archaeologist Ashley Carter has been hand-picked to explore this secret place and to uncover the riches it holds. But they are not the first to venture here–and those they follow did not return. There are mysteries here older than time, and revelations that could change the world. But there are also things that should not be disturbed–and a devastating truth that could doom Ashley and the expedition: they are not alone. Raven’s note ~ Awesome creature book! Rollins makes it all so darn real. 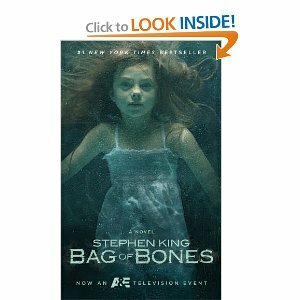 Bag of Bones by Stephen King ~ Four years after the sudden death of his wife, bestselling novelist Mike Noonan is still grieving, unable to write, and plagued by vivid nightmares set at Sara Laughs, the Maine summerhouse that seems to be calling to him. Reluctantly returning to the lakeside getaway, Mike finds a small town in the soulless grip of a powerful millionaire, a single mother fighting to keep her three-year-old daughter, and a miasma of ghostly visitations and escalating terrors at his remote cabin. Drawn to Mattie’s dilemma and falling in love with her and with young Kyra, Mike must still face the terrifying forces that have been unleashed at the lake’s edge—what do they want with Mike Noonan? 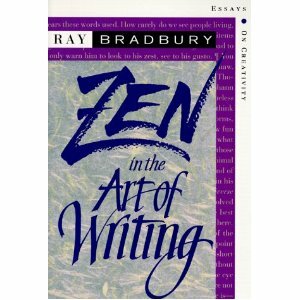 Zen and the Art of Writing by Ray Bradbury ~ The third edition of Bradbury’s much-loved classic adds three new exuberant essays on the pleasures of writing from one of the most creative, imaginative, and prolific artists of the 20th century–an author who truly enjoys his craft and tells you why and how. Raven’s note ~ An inspiring walk into the world of writing.